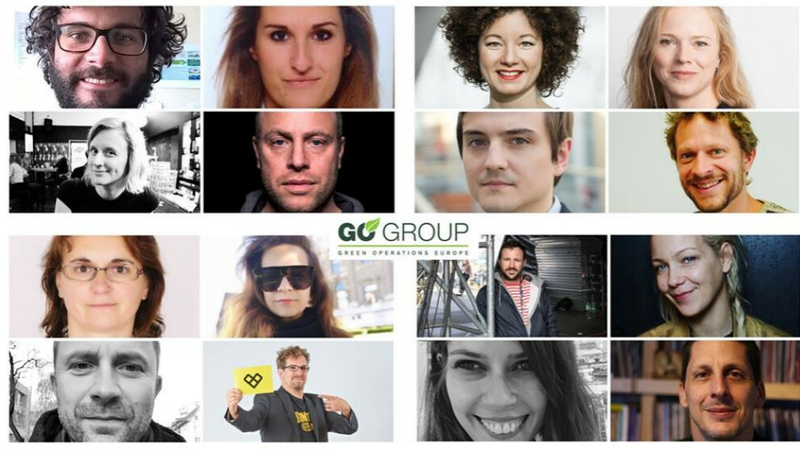 We are happy to once again present interactive, open and communicative format known as the „GO Group workshop“ with international guests from all over Europe. Let‘s discuss how we run our operations smarter and how we treat the environment and ourselves more responsible and more sustainable. Time for the next chapter: It’s time for the 8th international GO Group workshop in Prague. Making a huge impact with a low impact on the planet: this is how the future is being built. To do so you need knowledge, technology and the will to experiment and step on new paths. We will shine a light on the progress of smart systems, modules and solutions. We will hear about several projects concerning different production areas and work on a future-fit mindset to create ideas and measures to be implemented at the festivals and events of the future. The grand opening of the 8th international GO Group workshop getting the tone fort he upcoming days. We’ll be catching up on what happened lately and what‘s up next. A first round-up to get to know each other and getting ready to dive into action. #FridaysForFuture is a rapidly growing global movement of young people striking against politicians´ failure to fight climate change. The movement is a clear call to action for: Radical and ambitious environmental policies in line with the Paris climate agreement and global climate justice! A growing number of complementary movements is rising in solidarity with #FridaysForFuture (e.g. #ParentsForFuture, #ScientistsForFuture). Isn´t it time now for the green festivals of Europa to show solidarity and support? Let´s get #FestivalsForFutue started. Can we go on like do right now or do we have to develop a new mindset? How do we procure and consume? What do we eat and offer? What is waste and what is not? We will take our time do follow the ideas of today fort he events of tomorrow. Do we really need more more more? The audience want brighter and crazier lightshows. The artists demand LED screens as far as the eye can see. The safety guys demand the best backup systems available. Let‘s create the most efficient sources with the least emissions produced to meet those needs and power the events of the future. We will talk about needs, plans and developments. Nothing more or less than a change of the indistry‘s energy philosophy. Let‘s hear it from the czech major event and world’s biggest Drum’n’Bass festival, Let It Roll. While the brand after 15 years is spread from its czech home all through the world the organizers crank up their effords on running the system more and more sustainable. Let’s hear about this exciting journey. This workshop is based on the work of system scientists Otto Scharmer and Peter Senge and at MIT – Massachusetts Institute of Technology. Their Theory U process at the Presencing Insitute aims at helping systems, societies and people to emerge a better future. The 3D Mapping is a tool we use to bring multiple dimensions and perspectives to seeing and understanding the elements of the system together (co-sensing). During this physical mapping process, the teams will create one – or several, depending on groups size – 3D model(s) of the current reality and of the future that they are trying to collaboratively co-create. The official workshop networking dinner is the secret star of the event. We will meet at a unique place and one of Prague’s young cultural hotspots. Let’s follow up the day’s hot topics, get to know eachother more, start a friendship… everything can happen here! While we make incredible efforts to professionalize and improve our events on various levels such as safety and sustainability and please our customers and fans, so much so that we are very likely to forget ourselves on this journey. We continue talking about this – because there are too many issues that are icredibly important for every one personally as well as for our (working) relationships and our events as well. That‘s why this session is devoted to us. A full day about experiences, expectations and awareness. Let‘s learn about new, smart and contemporary approaches on working conditions, accessibility, motivation and appreciation. A calm introduction into the second day shedding some light into the weird myths of mindfulness, self optimisation and a good life in general. How does stress arise? Which functions do physical stress reactions fulfill and what are the negative consequences of permanent stress? Why is the same situation sometimes stressful and sometimes exciting or even enjoyable? This will be scientifically based input, prepared from practical examples from our world and with exercises for self-reflection and exchange between the participants. This is about those times when we struggle doing what we love the most. Dealing with and working in music and events. This is a personal conversation among friends about experiences, challenges and achievements that will open up to the whole group. What is authenticity exactly? Who is our authentic self? And how is it linked to our ability to lead, create and make sound decisions? If fear, shame and judgement are antagonists of authentic behavior, impair us, then how do we stay openminded, calm and curious in the face of stress, negativity and rejection? Could in fact curiosity, wonder and authenticity be our most powerful allies in creating a healthy and sustainable worklife? Value based work will not only allow a deeper impact in the world, but it will create less to no havoc to your mental health. Every field of life and work can be improved by expanded creativity, the question is where our creativity is focused on. Here´s where authenticity and purpose make a great guide. Now let´s have a conversation about the how! We want to devote ourselves to ourselves. We want to listen to our stories of mental health, anxiety, purpose and recovery. We want to learn together about new and old, smart and digital, analog and contemporary approaches on working conditions, accessibility, motivation and appreciation. We want to listen, talk and learn to save our lives. Ni9ht H3lps workshops, taking place all over Europe, consist of a personal story, a joint understanding of a potential remedy and an oath to yourself. They are open to everybody daring enough to start a conversation on some elephants in the room. We want to learn to ask for help. Join us.